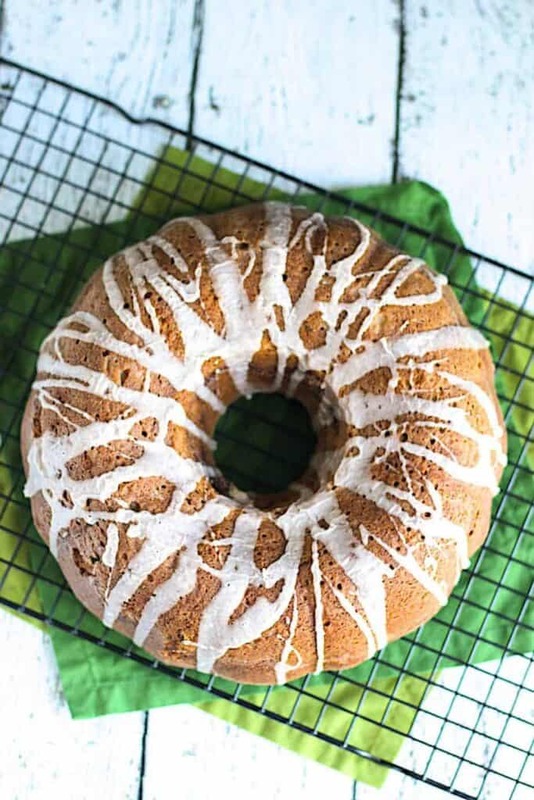 This Cinnamon Zucchini Bundt Cake is a great alternative to zucchini bread. 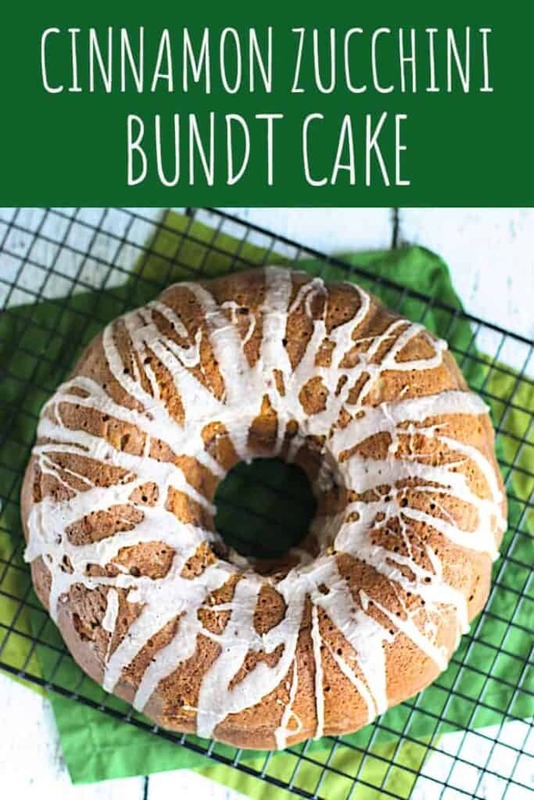 Plus, who doesn’t love a Bundt cake? 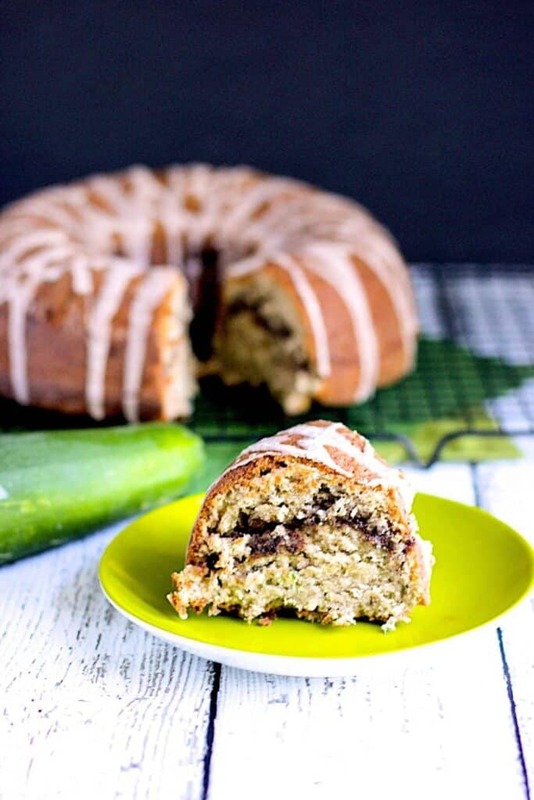 It’s quickly getting to be that time of year where gardens are overflowing with zucchini. This is can be problematic. There’s only so much zucchini bread that one person can eat. Though let me plug this Coconut Zucchini Bread, because it’s 10/10. 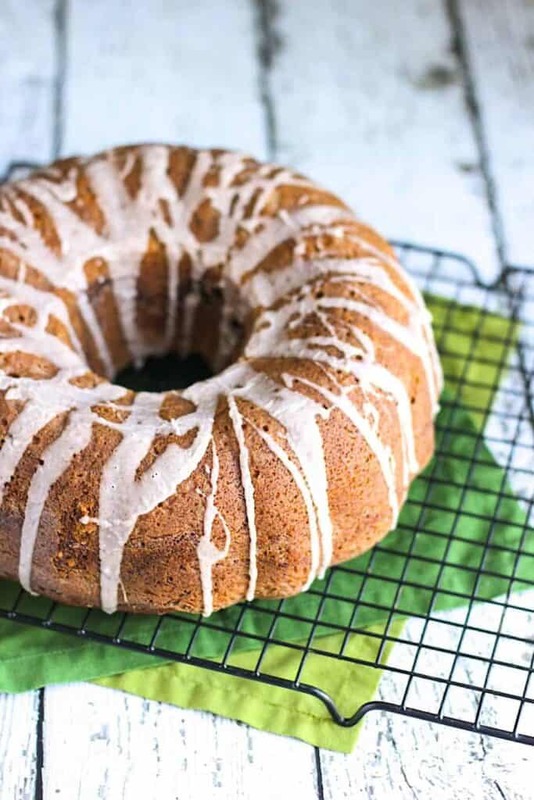 This cake is a slight departure from zucchini bread. 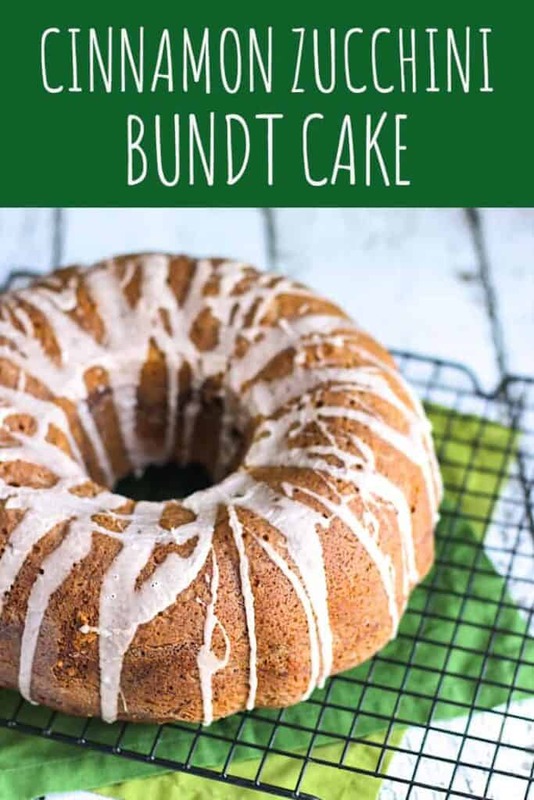 It’s still sweet, dense, and moist, but has a great cinnamon-y flavor throughout, along with a crunchy cinnamon-sugar layer in the middle. And glaze, of course. There are also these Zucchini Banana Pecan Muffins, if you prefer muffins. 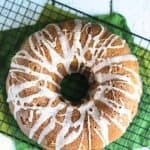 Really, if nothing else, baking this cake give you an excuse to say/sing things like what I said at the top of this post. 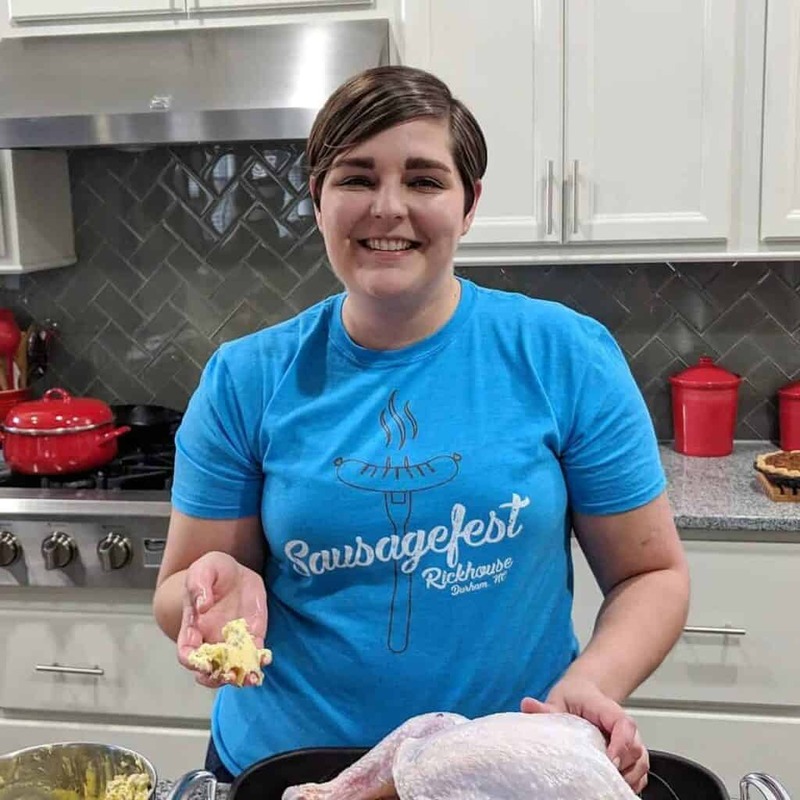 This recipe comes from If You Give a Blonde a Kitchen. Preheat the oven to 350 degrees F. Grease and flour a Bundt pan and set aside. In a medium-sized bowl, whisk together the flour, baking soda, baking powder, salt, and cinnamon. Set aside. In the bowl of a stand mixer, cream the cream cheese and sugar together for 2 minutes. Add the eggs one at a time, mixing well between additions. Add the vanilla extract and melted butter. Beat for 3 minutes. In 2 batches, add the flour mixture until it is just incorporated. Add the shredded zucchini and mix again until just incorporated. Pour half of the cake batter into the prepared Bundt pan. Sprinkle the cinnamon sugar mixture evenly over the batter. Top with the remaining batter and smooth with a spatula. Bake for 1 hour, or until a knife/toothpick comes out clean when inserted into the center. Allow the cake to cool in the pan for 20 minutes before turning the cake out onto a wire rack to cool completely. Whisk all ingredients together in a small bowl. Add more milk if you want a thinner glaze. Drizzle the glaze over the cooled cake. You had me with that opener, haha. Looks good! AHH! I need this in my life.